The Jungle HQ is pretty busy with private coachings these days. Private coachings are always two days of fun and really intense training with our students to reach their personal goals. You can have more information on private coaching here, but be aware of that we are already booked with future coachings until next year April, considering also the ones we will fullfill out of the Ultimate Paint Rack campaign. Some weeks ago we had Erik - a painter from Germany and long time friend of the Jungle - as a guest for some private coaching. We know Erik from various events, such as MV painting classes or the Duke of Bavaria. 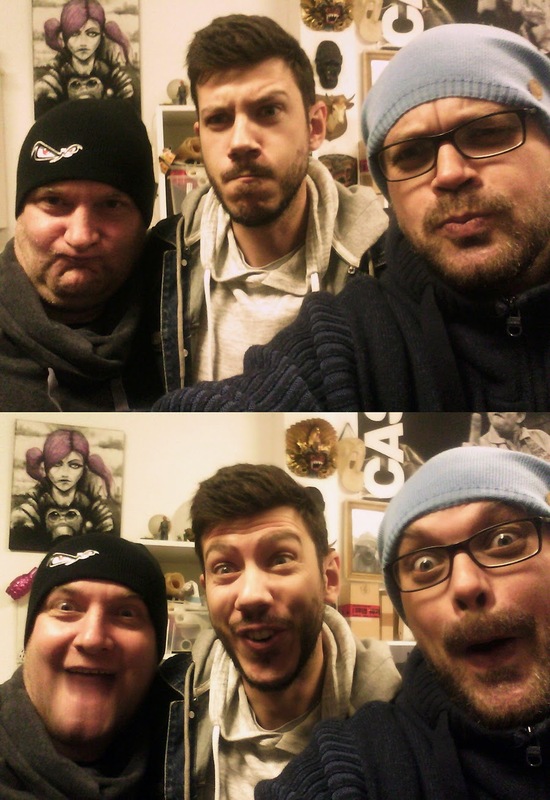 It is always a pleasure to meet Erik and so we were looking forward to welcome him to our studio for some private voodoo coaching. Upfront we wrote several emails with him to get a good idea on what he wants to learn while at the studio and had some chats about preparations and material for the coaching. "Hi Jungle of Massive Voodoo, I am Erik. Well, its time to write a few words about my private coaching with Roman and Raffa. I visited the jungle a couple of times before and it was always a funny and inspirational time with creative and kind people. This time my visit had a more serious purpose. 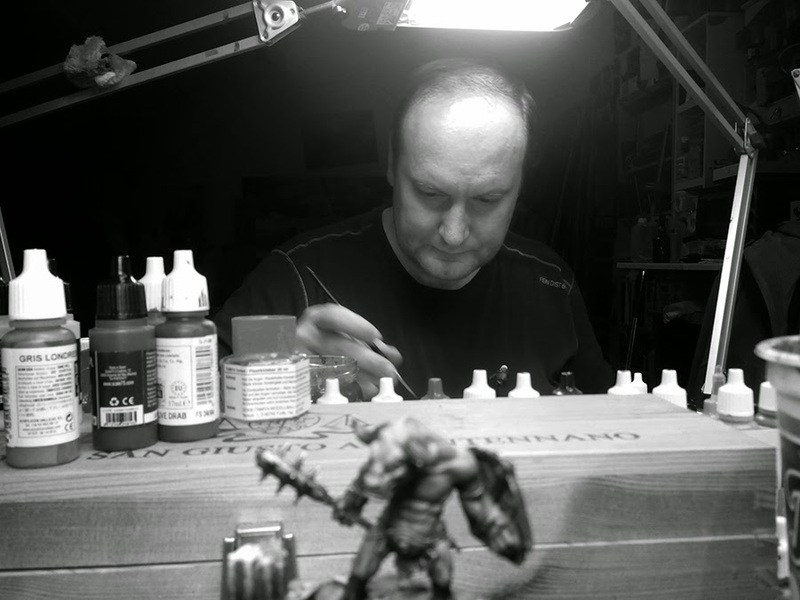 My topics were a bit extensive, with a focus on bringing a miniature to the highest level. 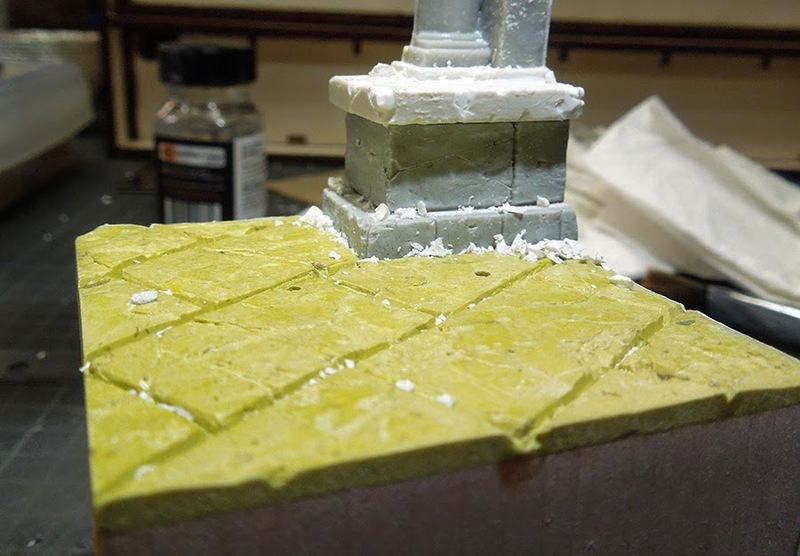 Additionally I wanted to improve my skills in creating of bases which would fit optimal with the miniature. A lot of work for just two days. 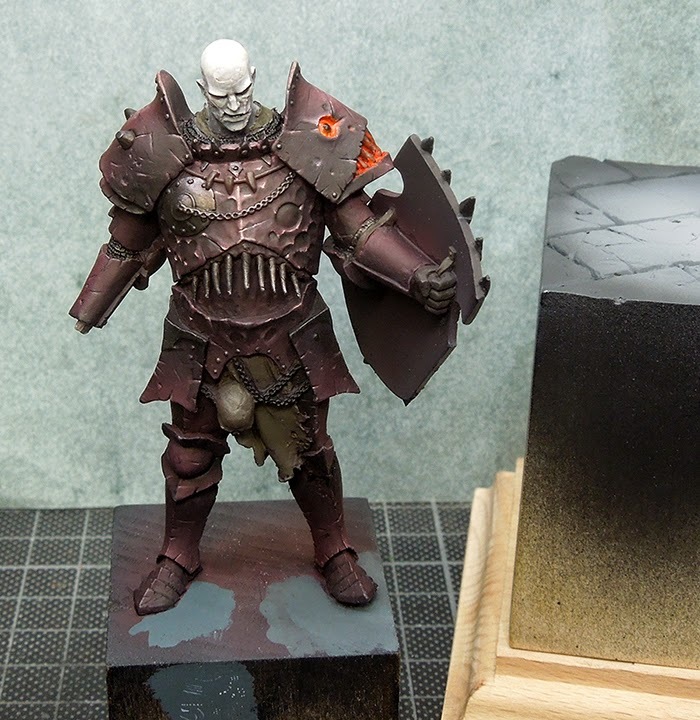 We started at thursday morning with a closer look at the miniature and the base. 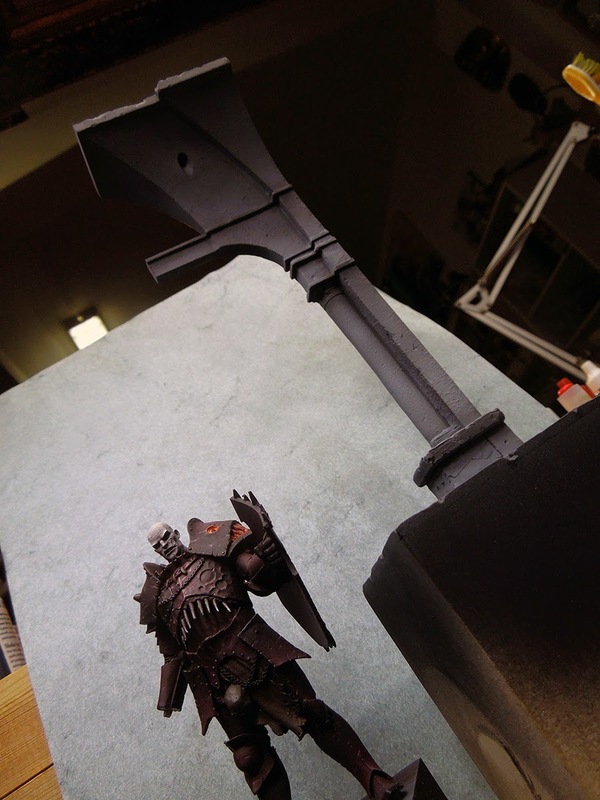 I chose the „Abyssal Warlord“ by Scale 75, not even the easiest option for a two day painting session. We talked about my intention of what he should look at the end, an almost black armour with a redish shimmer and a pale face. 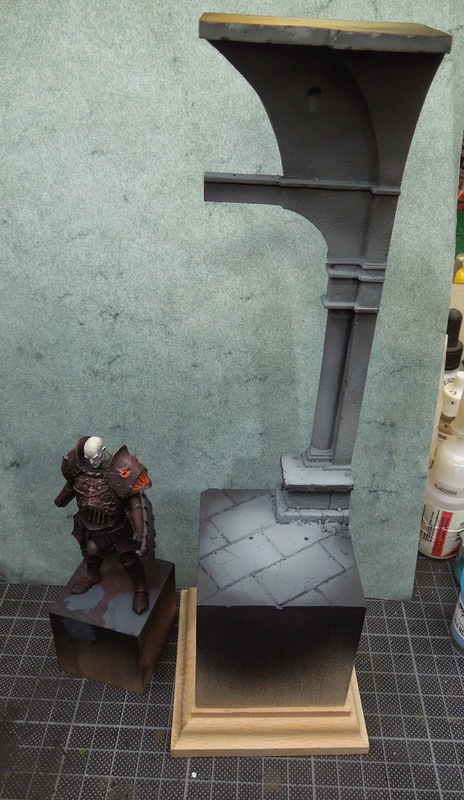 The base should represent a hall of a castle or a church, but to say it in Roman's words, the column I prepared on the base looked like a „cardboard cutout“ and he was so right. In comparsion to the miniature, it was much too small and so we planned a better fitting version of it. 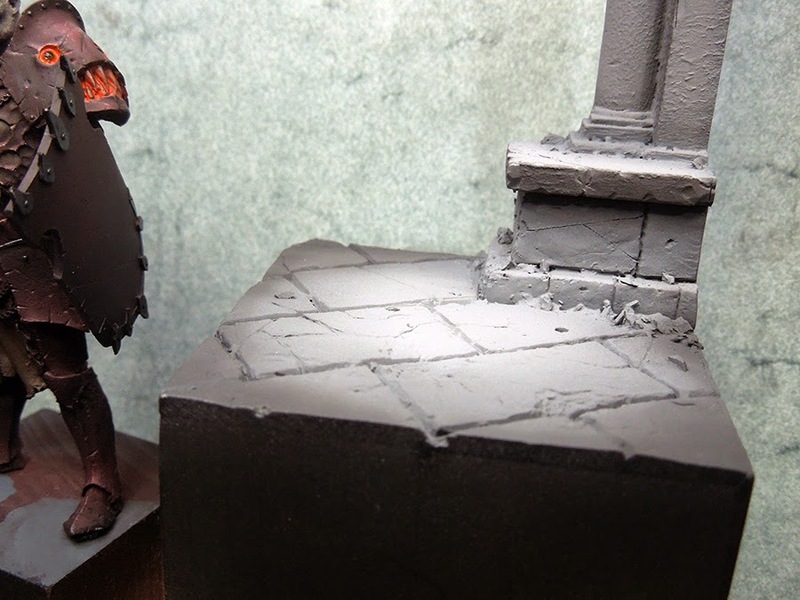 A hint for other painters: If your story behind the miniature is to shallow, your base will be the same! As it was not enough time to do that by myself, Raffa was so kindly to take this part and he made an awesome job on the base in the end. Next step on the way was the theory. From advanced color theory, choice of colors, saturation, situation of light, brightness, material etc. to base theory, orientation, size ratio, allocation of pieces, a huge bunch of knowlege was floating to my brain and waited to be implemented. Now it was painting time. 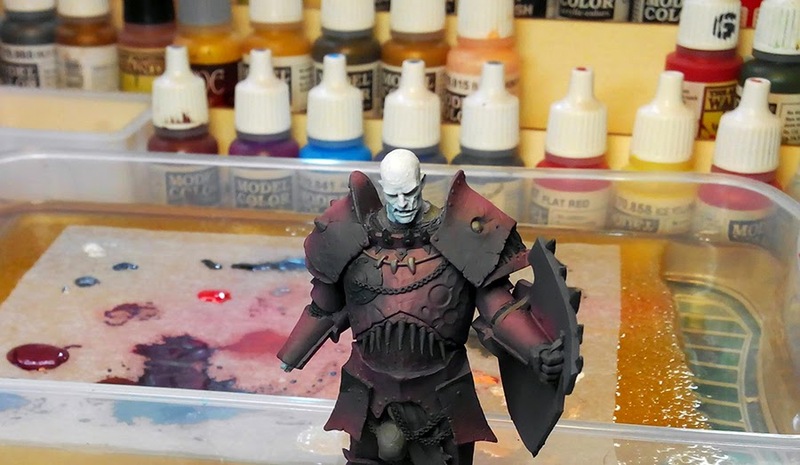 Using the airbrush to apply the foundation colors, the big guy starts to looking nice and we reached the basis for the advanced techniques really quick. The brushwork then takes a long time and the details became the attention they deserverd. 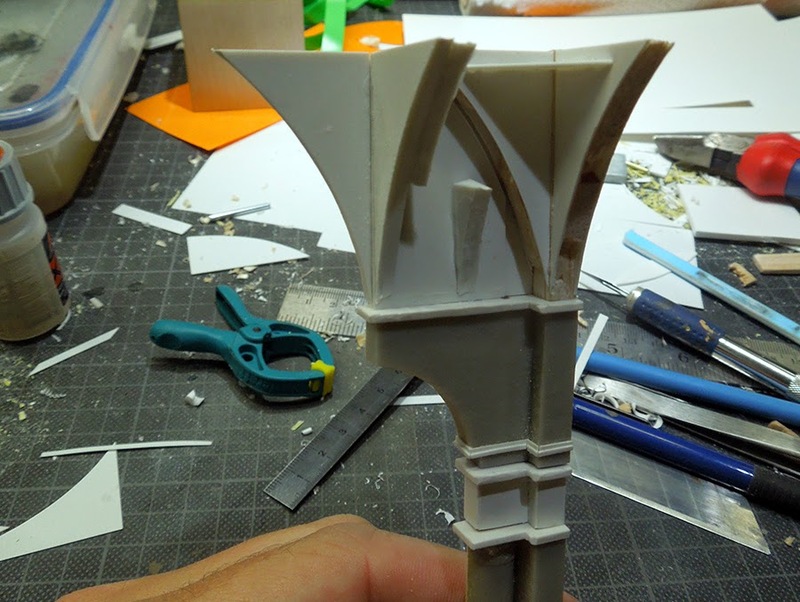 During that process, i began to recognize more and more details, which i had little or no notice before. 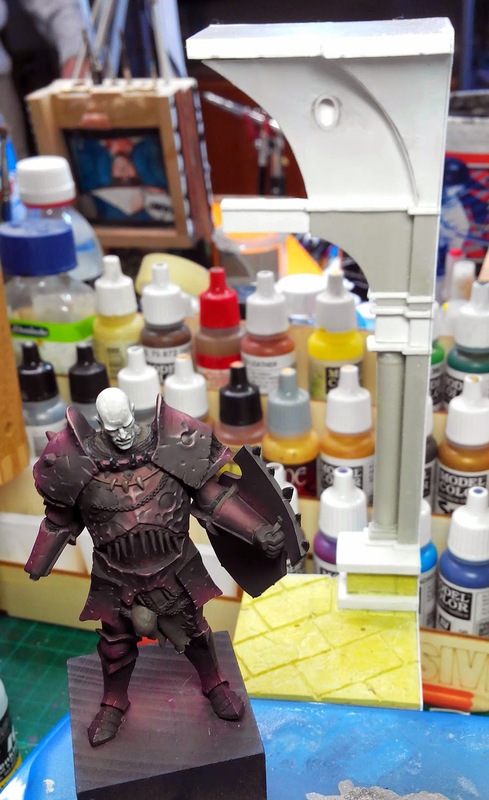 For me, this was an amazing experience and shows me the potential of how the level of painting a miniature can be pushed further. Roman and Raffa always had a close eye to me and so i got a lot of usefull tips, like holding my brush correctly, color consistency and many more. Time flew away and after eating the best pizza in town and a short debriefing, day one was over and we fell in our beds to recharge for the next day. 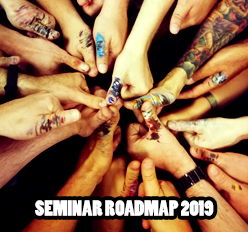 Day two began with a short overview of the goals of the day and painting the face. In order to properly capture how much work Raffa has invested in the base, you have to notice, that he worked until the morning of day two to finish it. At this point the miniature got a break and we went to the base for having it basicly colored. The colors of it were adjusted to the miniature and the environment which was given by the story. Deepen the story was my homework for day two. Still so much work to do, but unfortunately day two was almost over and so it was time to come to an end. Two days of theory, painting, fun, nerdtalk, tasty pizza and other food were gone to fast and I was really sad that to leave the studio. As a summary of the private coaching, I can say that it was worth every cent. Roman and Raffa are such nice people with unbelievable knowledge, skills, creativity and passion in everything they do. If you want to make the same experience and if you also want to know what „Puttybobbels“ really are, don't hestitate to ask for an private coaching. I vote for "Column" for the next tutorial ;). Sadly there will not be a column article, but yes we had tons of fun but also hard work!